Home and business owners should seek out reputable flood insurance companies to procure a strong flood insurance policy and protect their residential and commercial investments from unavoidable floods. Flood insurance is necessary since flooding is not typically covered by most homeowners and commercial insurance policies. After you suffer losses from a major flood, the last thing you need is to get caught treading water with the financing of any necessary structural repairs. By obtaining a flood insurance policy before the flood waters arrive on your property, you can ensure that the funds are there when you need them most and do your part to keep your displacement time to a minimum. When searching for an affordable – yet comprehensive – flood insurance policy, it’s important to choose independent insurance agencies that are able to review policies from all reputable flood insurance companies. It is equally vital to choose an insurance agent who takes the time to provide you with personalized, one-on-one service. Allow your Five Brothers Insurance agent to give you peace of mind and find you the optimal flood insurance policy for your unique circumstances by researching the ideal policy for you. A Five Brothers Insurance agent will always provide you with dedicated customer service and support. 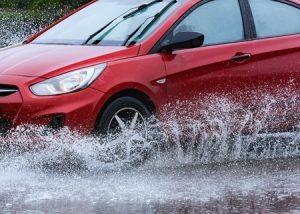 Five Brothers Insurance is proud to offer policies to those in Clearwater, St. Petersburg, Pinellas Park, Largo, Oldsmar and elsewhere throughout the great state of Florida, so contact us today and allow us to save you time and energy by pulling quotes from multiple flood insurance companies at once. We hope you give us the opportunity to simplify your insurance needs by providing you with the comprehensive insurance services you need to protect yourself, your loved ones and your most valuable assets.